What is Creapure (Creatine Monohydrate)? Made by AlzChem in Germany, Creapure is widely known to be the purest and finest level of micronized Creatine Monohydrate available on the Sports market. Produced via a rigorous testing process, it is free from impurities and by-products like CRN, DCD, DHT and Thiourea. As a result, this product is 99.99% Creatine Monohydrate. 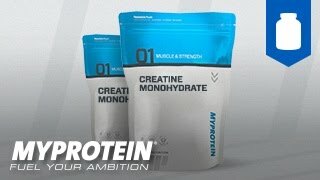 A daily intake of 3g creatine increases physical performance in successive bursts of short term high intensity exercise. Who is Creapure Suitable for? It is suitable for anyone partaking successive bursts of short-term high intensity exercise and looking to increase physical performance. A daily intake of 3g of creatine produces beneficial effects. Creatine is the most widely studied sports supplement. Scientific studies show Creatine Monohydrate to increase physical performance. Easily mixed and lump-free, it comes in a wide range of flavours. When should I consume Creapure? 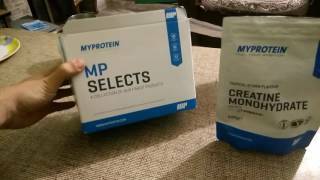 Myprotein recommend consuming 3-5g of Creapure immediately pre or post work-out with a whey protein and carbohydrate blend to maximise its uptake by the muscle. Alternatively, mix with water, milk or juice and consume straight after mixing. Creapure (Creatine Monohydrate), Vegetarian Capsule (Hypromellose).